Tal Wilkenfelds new album Love Remains is released today, March 15. Swedish bass player and Youtube gear-tester Erik Arkö got his hands on the new EBS MicroBass 3. Check out the videos here. 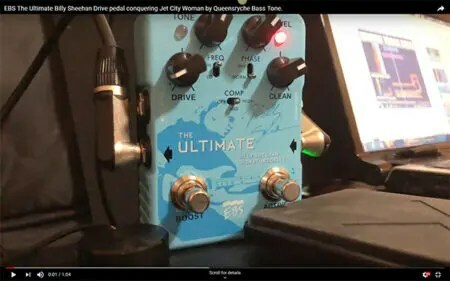 Erik Arkö got his hands on the new EBS Billy Sheehan Ultimate Signature Drive. Check out these videos for a demonstration. The new Desktop Editor is available both for Windows and MacOS and makes it fun and easy to create and organize sounds with your ReTracer pedal. Hear the first sound snippets of the new EBS Billy Sheehan Ultimate Signature Drive! It’s a wrap! EBS wraps up the NAMM Show 2019 with a photo gallery from the show.